Are you dealing with an injury sustained in an accident in Duluth, Georgia? Did someone's negligence cause the incident? Don't let them or their insurance companies give you the runaround. If someone caused your accident, they should pay for it. That's why we want to meet with you. 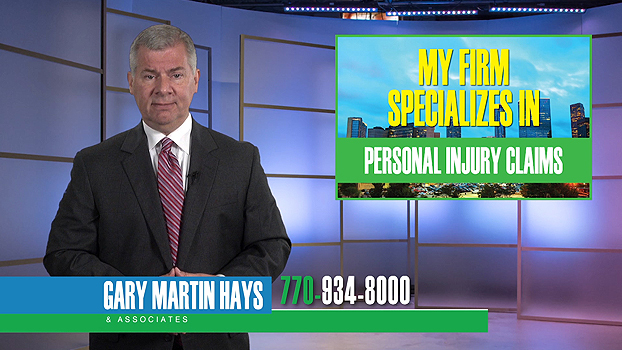 The attorneys at The Law Offices of Gary Martin Hays & Associates fight for the rights of injury victims in Duluth and other surrounding communities. We know how the legal system works in Gwinnett County. We know what evidence to look for. And our Duluth personal injury attorneys will not rest until we achieve justice for you. Your case is about more than just money. It's about accountability. Actions have consequences. And the person or company responsible for your accident should be held responsible, plain and simple. That's why we want to meet with you and find out how our legal team can help you get your life back on track. Negligence affects the victim's quality of life and peace of mind. The stress of an accident can extend to friends and family, especially in the case of a fatal accident. Wrongful death is the worst-case scenario for accident incidents in Duluth and surrounding areas. Whatever type of personal injury accident you're dealing with in Duluth, we're here to help you. No one should feel like they're alone or without options. The main office for our law firm is located in Duluth, Georgia. Gary Martin Hays hired an architectural firm to design the office building to his strict specifications. The result: a massive 20,000 square foot building equipped with the latest state-of-the-art equipment and high-tech programs to better serve our clients. In the center of the office is a large courtroom with a full judge's bench, a jury box that seats 12 people, and TV systems for presentation of exhibits and evidence. This allows us to hold mock trials and jury focus groups to better prepare for trial. Our cutting-edge software is designed to help us keep track of a client's case, medical treatment and legal deadlines with just the click of a mouse. We know what you and your family are going through. We truly care about you as a person - above and beyond the legal aspects of your claim. This is why so many of our clients refer our firm to their family or friends that have been hurt in a wreck or injured at work. They know we'll take care of them. After an accident, victims are prone to feeling alone, isolated and helpless. This isn't the case with our legal team on your side. With experience and a proven track record behind us, we want you to feel supported throughout the legal process. Don't face the insurance companies alone. Have someone on your side. You need to fight for the compensation you're entitled to after what you've been through. We can help you. Get in touch with us today for your free case consultation. We can meet with you in our Duluth office to go over your legal options and determine the best course of action. And if you can't come to us, we can come to you - in your home, your hospital room or another convenient location. And don't worry about the cost. To alleviate stress, we don't charge a penny unless we win. We give you our "Zero Fee" guarantee. There's no obligation on the other end of the line, and no need to dig out a checkbook. Contact us today.